India Garden opened it’s doors in December 1990 and since then has devoted it’s days to providing the best in Indian cuisine. All of our dishes are freshly prepared on a daily basis from locally sourced produce. Being the first Indian Takeaway in Bognor Regis, the quality of our food and service has stood the test of time. 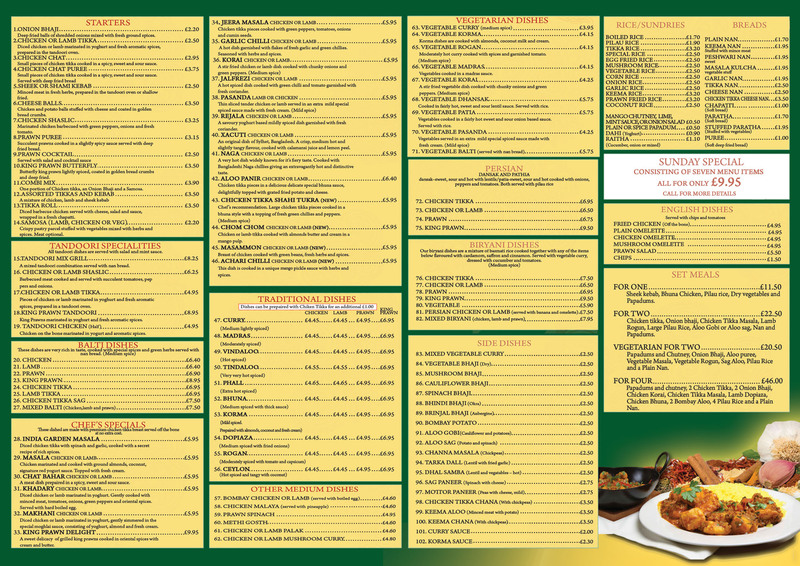 Please explore our extensive menu and do not hesitate to call us for any special requests. Our chefs will do their best to cater for any personal preference/requirements. For the ultimate convenience in ordering the best Indian Takeaway in Bognor Regis, use our simple and user friendly online ordering facilities.